CHARLOTTE, N.C. (AP) — The Carolina Panthers are being sold for an NFL-record $2.2 billion. Richardson announced in December he was selling the team amid an NFL investigation into sexual and racial misconduct in the workplace. That decision came after a report by Sports Illustrated detailing Richardson's alleged misconduct. The league's investigation into the allegations is still ongoing. 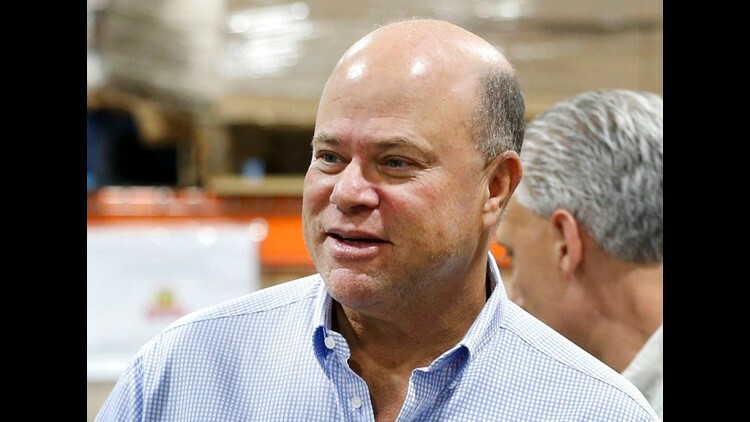 Because he holds a 5 percent stake in the Steelers, Tepper's finances already have been vetted by the league, meaning it wouldn't take much for NFL owners to approve the sale. However, Tepper would have to sell his minority ownership stake of the Steelers, per league rules. Forbes listed Tepper's net worth at $11.4 billion in February 2017. He donated $55 million to Carnegie Mellon University's business school in 2013. Tepper graduated from the University of Pittsburgh and Carnegie Mellon, where the Tepper School of Business is named after him. Richardson was the first and only majority of the Panthers. He became only the first former player since George Halas to become an NFL owner when he was awarded an expansion franchise in 1993. Richardson promised fans at the time the Panthers would win a Super Bowl "within 10 years." Carolina has reached the Super Bowl twice, including in 2015, but has never won.